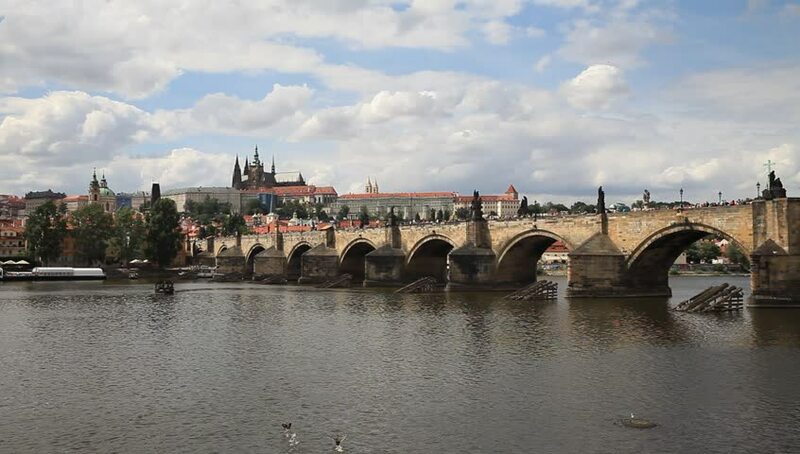 4k00:15PRAGUE, CZECH REPUBLIC - SUMMER, 2015: Charles Bridge in Prague. Czech Republic. Shot in 4K (ultra-high definition (UHD)).